A lot of great original content never reaches consumers. From budding filmmakers who cannot find a distributor for their documentaries to regional TV series that experience huge success in their own country but struggle to gain traction abroad, international audiences are missing out on video they’d value. And it’s a problem being felt by both content owners and consumers around the world. Channel 4 in the UK has started to address this. All4 has become the UK home for Swedish and Danish dramas that are dubbed or subtitled into English as the broadcaster opens up its platform to shows and movies from across Europe. Amazon Channels has also taken this concept and extrapolated it to a global scale, bringing mainstream media properties (such as Starz and Discovery) to viewers globally on a subscription basis. But what about those smaller content owners we mentioned at the beginning? Who helps to bring their unique assets to the masses? You could argue that YouTube has a role to play. With an estimated five billion videos watched through the service every day, it’s certainly a vehicle that smaller content owners can use to gain initial traction and find a diehard fanbase. The problem with YouTube, however, is that Google’s the one with all the power. Handing their video assets over to YouTube means giving up control. There’s no flexibility to customise the user experience and recommendations shown at the end of content or advertised around it cannot be tailored. Content owners don’t own the viewer relationship, they don’t control the technology, they can’t deep-dive into the analytics, and most importantly they cannot set the monetisation model. With YouTube, it’s the Google way or the highway. For content owners intending to expand the international footprint of their existing brand, or attempting to build one from scratch, YouTube makes it difficult to protect that reputation once it’s been built. It’s a poor monetisation strategy for providers at any stage of their journey. And when you consider today’s viewers expect a premium service no matter where they’re watching video, it’s clear that content owners need a better way to reach consumers on their own terms. One way to approach this is to opt for their own managed OTT TV platform. TV2U’s iVAN-X solution is the fastest and most cost-effective way to launch a scalable white label OTT service, with enhanced monetisation and multiscreen capabilities, straight out the box and is ideal for content owners that already have an established fanbase. 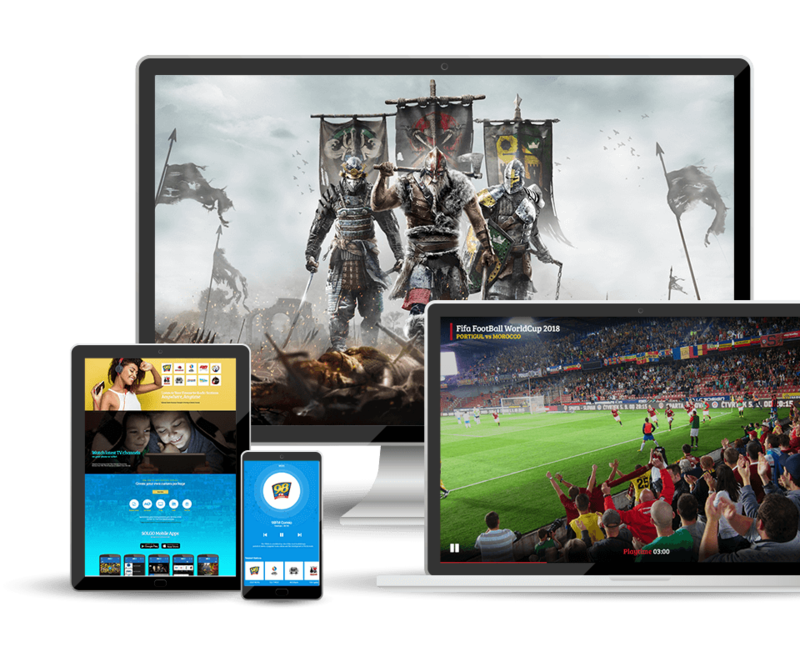 As many smaller providers need a partner through which to attract a largescale audience, though, this has prompted the arrival of the multi-vendor OTT platform. A multi-vendor OTT platform is a way for service providers to work with content owners to immediately increase their audience footprint and consumer offering. And choosing technology from an advanced provider such as TV2U removes the complexity traditionally associated with getting a platform like this off the ground. For service providers, there’s no need to invest huge sums into IT infrastructure or development. Upgrades, maintenance, support, and security monitoring are all included out of the box. Their platform can be set-up and streaming in minutes, delivering content from smaller and niche players that their audiences won’t have seen before. For content owners, they have full control over their brand, can directly engage with consumers through social media and other channels built into the service, and can choose the revenue model that suits their needs (SVOD, TVOD, AVOD, PPV, or a combination of these four for different content classes) operated under a revenue share model with their chosen service provider. This is a concept we’ve seen work very well with mobile operators and internet service providers. Our work with Indosat Ooredoo – the leading Indonesian operator with over 100 million subscribers – to launch iStream is an example of the multi-vendor OTT platform in action. Indosat provides the audience and underlying platform, through TV2U’s technology, and content owners that sign up to deliver through the service provide unique assets that are relevant to the operator’s subscribers under their own branding, imagery, and more. It’s a win-win for all involved. As the internet becomes increasingly crowded with valuable video content and new streaming services all vying for consumer attention, the aggregation benefits of platforms such as those delivered through a multi-vendor business model will stand head and shoulders above the rest. And platforms that can go beyond the norm to offer unrivalled data analytics and world-first device detection capabilities will be the key. If you’re a service provider or content owner that wants to get ahead of the curve and take advantage of this opportunity, get in touch with us today.